While I was writing the recent post about places for nomads to find money-making opportunities, I thought about drug studies. Even the longest drug studies only involve a temporary commitment, and they typically offer a good financial reward on the time invested. While it’s true that I haven’t participated in a drug study in nearly a decade, I’ve participated in several throughout my life. Today I’m going to share my knowledge of drug studies based on my experiences in the early to mid 2000s. Of course, the world of drug studies may have changed since then, so like all of my posts in which I share information, think of this post as a starting point for the research you will do before you decide if being a drug study participant is the right choice for you. Basically, in a clinical trial the environment is manipulated in some way so the outcome can be studied. The manipulation often occurs in the form of taking a drug, or thinking you’re taking a drug but really taking a placebo. [s]omeone with no known significant health problems who participates in research to test a new drug, device, or intervention is a “healthy volunteer” or “Clinical Research Volunteer”. In the conduct of a clinical trial, a sponsor is an individual, institution, company or organization…that takes the responsibility to initiate, manage or finance the clinical trial,1 but does not actually conduct the investigation. takes on the responsibility as a clinical study sponsor and also conducts or oversees the clinical trial. As far as I know, all of the studies I participated in had a sponsor (usually a drug company) who hired a private company to conduct the investigation. Ok, so how healthy does a person have to be to get into a clinical trial? Most study sponsors want participants who don’t smoke cigarettes or use other tobacco products. 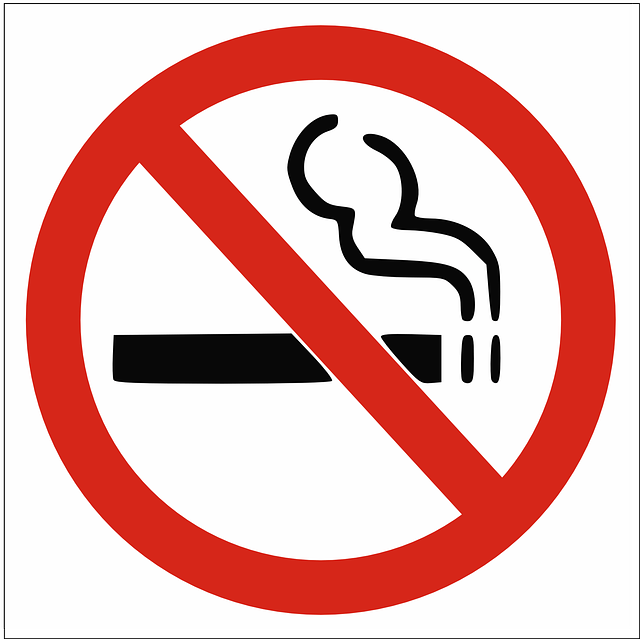 At the very least, study requirements typically prohibit volunteers from using tobacco while participating in the trial. Refraining from alcohol during the study is necessary too. Sponsors also want participants who don’t do drugs, either street drugs, prescription drugs, or over-the-counter medication. I’ve gotten into studies even after I confessed to taking vitamins, but it was with reluctance on the part of the recruiter. Ideally, sponsors want people who don’t drink alcohol, use tobacco products, or take any drugs ever! They also don’t want you if you show up for a screening (more on that later) or check-in with a cold, a headache, or any sort of sickness. Another aspect of “health” study sponsors are concerned with is weight, or specifically, Body Mass Index (BMI). Study sponsors want volunteers to be in the “normal” range, so they don’t want people who are too “overweight” participating in their trials. In my experience, descriptions of specific studies will include what BMI range is acceptable. I found it helpful to know my BMI so I didn’t waste time applying for studies my BMI would disqualify me for anyway. The Centers for Disease Control and Prevention website offers a BMI calculator you can use. Study sponsors are not too keen on people with special dietary restrictions, whether those restrictions are for health, ethical, or religious reasons. Sponsors believe it’s important for all human subjects in a trial to eat the same foods, so they’re not going to allow a vegetarian or vegan into a study where they plan to feed the participants a typical meat-based diet. I’ve heard that at some study facilities subjects are required to eat everything on their plates at each meal. I’ve never been in a facility like that; every study I participated in allowed me to decide what and how much of what I was given I would eat at any meal. I did witness people in other studies being required to eat everything on their plates. Study sponsors are also very concerned that study medications not be allowed to affect any fetus. Typically pregnant women are not allowed to participate in clinical trials, and often female volunteers are advised not to get pregnant for some time after the study is over. Because of these concerns, female volunteers are required to be sterile or on an approved method of birth control. Women not on hormonal birth control typically need to use a barrier method with spermicide as their form of birth control in order to be accepted as study participants. Early trials are small, but they’re easier to qualify for (healthy adults can participate) and pay more…Later trials are bigger but…usually offer less [money]. In my experience, other factors such as how long the subject is required to stay in the study facility, how many follow-up visits are required, and how many blood draws are involved in the study also help determine how much compensation a volunteer receives for participating in a clinical trial. The most money I ever earned for participating in a drug study was a little over $3,000 for staying 21 nights in the study facility and taking two psychotropic drugs already on the market. The study sponsors wanted to know how the drugs would interact when taken together. Most of the drug studies I participated in paid between between $1,000 and $2,000 dollars for a five to ten night stay. Yes, that’s right, you typically have to stay in the study facility during the clinical trial. This is not always the case–I’ve participated in a handful of studies where I went home after taking the study medication, then made a predetermined number of follow-up visits in person or checked in via telephone or email–but typically study participants stay in a medical facility for a predetermined number of days. Staying in the facility helps the folks carrying out the trial be sure no one is smoking or drinking alcohol or taking other drugs while on study medication. It also allows for immediate medical attention from a member of the round-the-clock nursing staff if the study medication causes a dangerous adverse effect. For some people, being confined to the study facility was the hardest part of participating in a clinical trial, but I made good use of my time reading, writing letters, and catching up on cheesy television shows. Not that I’ve given you an overview of how participation in a clinical trial works, you can start considering if it is right for you. But don’t make a decision yet! Next week I’ll give you some ideas of how to find clinical trials to participate in, what to expect during the initial phone screening as well as the in-person screening, and how to prepare for check-in and your stay in the study. Some of the information in this post comes from my memory and is correct as far as I recollect. Other information comes from my research on the internet and is correct as far as I can determine. This information is offered as a starting point for your own research, not as the definitive answer to all your questions. Blaize Sun is not responsible for you. Only you are responsible for you. Images courtesy of https://www.pexels.com/photo/abundance-achievement-bank-banknotes-534229/, https://www.pexels.com/photo/person-using-black-blood-pressure-monitor-905874/, https://www.pexels.com/photo/healthy-clinic-doctor-health-42273/, https://pixabay.com/en/no-smoking-logo-symbols-warning-24122/, and https://www.pexels.com/photo/person-standing-in-front-of-food-tray-734542/.